According to Sport England, disabled people are half as likely to take part in any sport or physical activity (43%) than non-disabled people. On top of that, only 3% of GB Paralympian's at Rio 2016 had a learning disability. It's safe to say, opportunities are scarce. Most non-disabled people have taken part in a sports competition at least once in their life, whether that be at school during School Sports Day’s, at their local club competing against the rival team or even competing at national competitions, if you were striving to be an elite athlete. For disabled people, access to competition is a lot more difficult. Although there are plenty of elite competitions for disabled people e.g. The Paralympics Games, Invictus Games and Special Olympics Games to name a few, accessing competitions on a more recreational level seems to be harder. London Youth Games have delivered fantastic events for over 40 years for school aged participants, engaging a large number of Special Education Needs schools, yet still out of the 45 competitions taking place in 2018, only 9 of those are disability focused. Outside school, finding disability competitions can also prove difficult. On the English Federation for Disability Sport website only 4 events are shown on the website for provision in London and only 43 across the whole of England! Our Community Club members receive a number of opportunities to take part in competitions throughout our annual club year. The first chance is at their local Club Derby playing against their rival Community Club. Earlier in the year Club Wandsworth played host to Club Lambeth, and Club Brent will soon welcome Club K&C. Another opportunity is our ClubGames. This competition brings together 4 regional Community Clubs and local groups making the competition larger and more exhilarating. The ClubGames competitions always has 2 events, a team sport and a Paralympic or adapted sport, so there is something for everyone to enjoy. We have teamed up with Baseball Softball UK to give our members a whole new experience of a new sport. Baseball/softball is a new sport for many of our members so having the opportunity to pick up the glove, bat and ball and try out a sport that is fun, social, and accessible to all players is amzing. It will be a fast paced and dynamic both when batting and fielding and hopefully some home runs will be scored! Like all our competitions, most of the competitions rules will apply to give the members the most realistic game as possible but some rules will be adapted slightly to suit the member’s needs. Baseball Softball UK Development Manager Patrick Knock can’t wait to be involved at the ClubGames, saying: "We are delighted to be part of this event, working in partnership with DSC to introduce baseball/softball to their Community Club members at the upcoming Spring Games. I look forward to new participants playing baseball/softball as well as competing in a friendly mini-competition. I'm excited about the prospect of the Community Clubs then taking on the sport and running regular sessions each week." From the explosive sport of baseball to a sport that requires strategies and tactical thinking - the two sports couldn’t be more different! Paralympic sport Boccia doesn’t involve a lot of movement but does call for concentration and precision to win the game. This game is perfect for members with an eye for detail and don’t necessary like to run! We hope all our members take up the opportunity to take part in all our competitions. You can get involved in the next one just one week away! 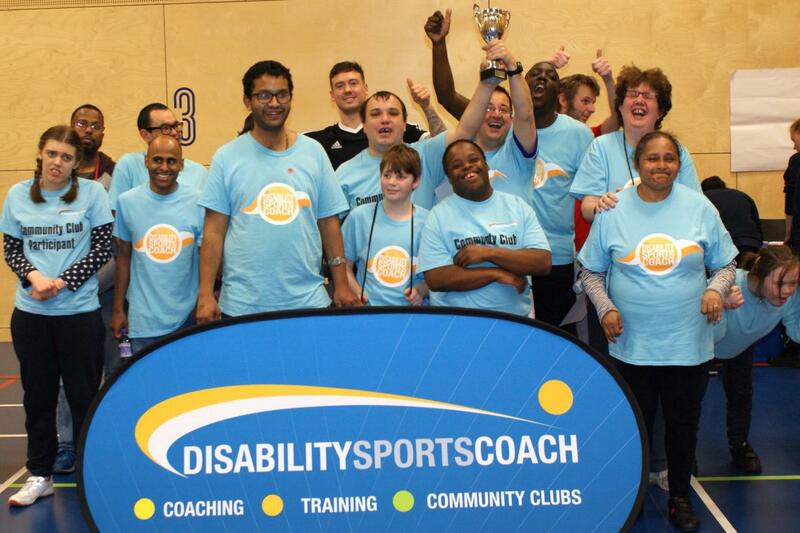 Spring ClubGames is a free event, giving all disabled people aged 11 years to adults the opportunity to take part in a variety of sports and some friendly competition. Please note parking is extremely limited, so plan your journey in advance. To register, just turn up at 10am! If you would like to attend as a group, complete and return the ClubGames Registration Form to Lauren Mawdsley at LaurenM@disabilitysportscoach.co.uk before the 1st April 2018. For more information, please contact Lauren on LaurenM@disabilitysportscoach.co.uk or call 020 7021 0973.